The Board of Friends of Sugar Creek announces an amazing one-day event this summer for children, 10-14 years old. This event called Kids, Canoes, and Crinoids is scheduled for Saturday, July 14 and will feature canoe instruction, a trip down Sugar Creek, learning stations along the way, lunch, and a tour of the historic Younts Mill. This journey down Sugar Creek starts at the Old Coke Plant and finishes at the Younts Mill, with stops along the way for a variety of activities. These “gravel bar” stops will engage/educate the participants in features of the Creek— the biology, geology, history, and beauty, with activities like fossil hunting, wildlife exploring, water sampling, etc. 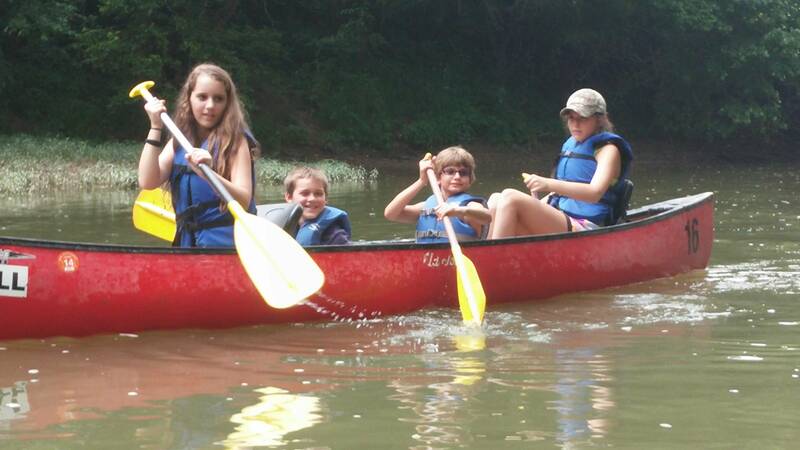 Boats, lunch, educational materials, and safety instruction will be provided by The Friends of Sugar Creek. Learning Station: Can critters tell us “How clean is the water”? Call Cindy at 765-264-0050 for info and reservations. Leave message and number. Limited participation so call today!